Today we're taking a look at the DELUX STREET TRACK BUNDLE for Modarri toy cars. 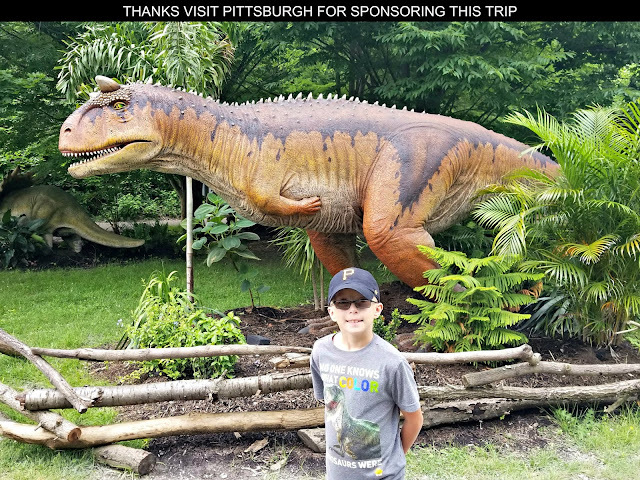 The Modarri brand is known for its customizable toy cars that feature real steering and suspension mechanics that provide a realistic mock driving experience. They are also very durably built with real metal frames, heavy duty plastic, and strong mechanical linkages. While each car has 10 or more interchangeable pieces these toys are very sturdy because the screws that connect them are retained in the components for a tight fit and they don’t fall out. These finger-driven cars have won a number of toy industry recognitions including Popular Science -- Best of Toy Fair, Family Choice Award, Parents Choice Award, and Best Toys for Kids Astra Award. Plus they get A Geek Daddy nod of approval for just being awesome to play with. Up until now though there wasn't a play surface that did justice for taking advantage of the finger driving steering and suspension features of these toy cars. Rolling a Modarri along a cement sidewalk is the equivalent of hot rodding a Dodge Challenger Hellcat on a pot hole speckled road. 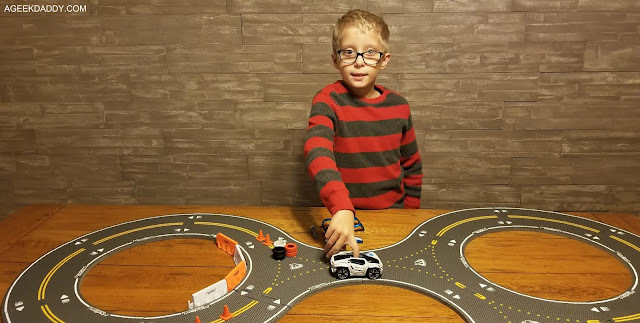 Just like you want to take a sports car to a race course like the M1 Concourse near my home for the best driving experience, you'll want to utilize the DELUX STREET TRACK BUNDLE to get the most out of playing with Modarri toy cars. 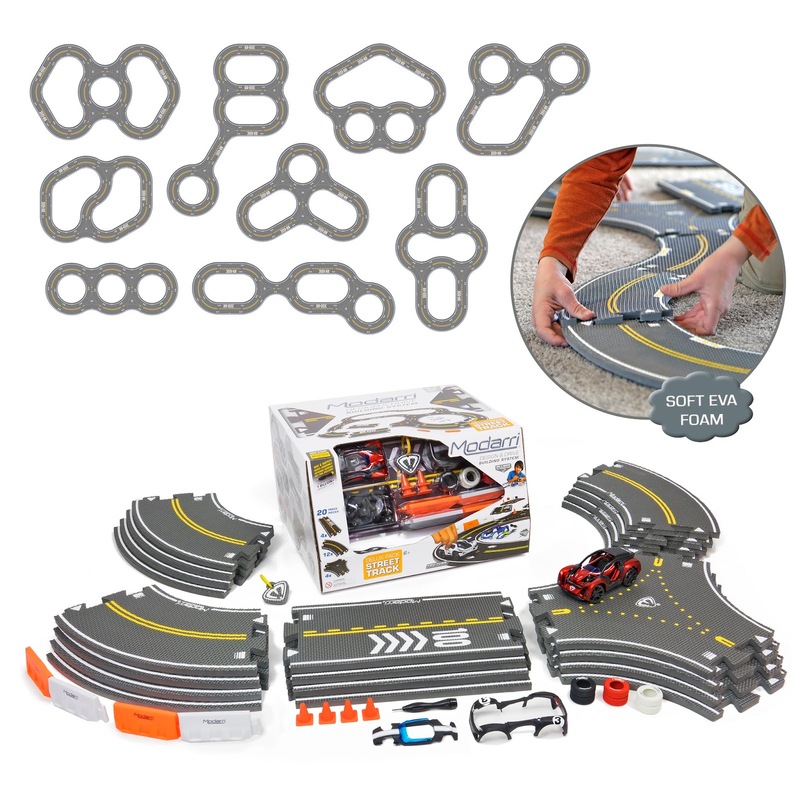 With the Modarri DELUX STREET TRACK BUNDLE you can build your own street-styled race track! It includes 20 pieces of soft yet durable EVA foam track that were constructed specifically to provide an incredible surface for enjoying the steering and suspension mechanics of Modarri cars. Vroom! Vroom! You'll understand why Modarri toy cars stand out when finger-driving one on laps around race courses you've constructed with these foam track pieces. Just as Modarri's cars are customizable so are the layouts you can put together with these track pieces. The DELUX STREET TRACK BUNDLE includes 12 curved foam track segments, 4 straightaways, and 4 pieces of Y-shaped foam track allowing for a variety of layouts for Modarri cars to drive around. These pieces quickly snap together with a tight interlocking fit making it easy to design your own costume track that provides a smooth ride for Modarri cars. In addition to the street-style track pieces, this delux bundle also includes a Modarri car with 13 interchangeable parts (4 wheels / 2 suspensions / 1 chassis / 1 seat / 2 fenders / 2 hoods / 1 metal frame + 1 swivel-tipped hex screwdriver). It also comes with 11 race course accessories ( 4 orange racing cones / 4 hard interlocking racing barriers [2 orange & 2 white] and 3 tire stacks). The playset has everything you need for some race car fun! My son has been having a great time playing with the Modarri DELUX STREET TRACK BUNDLE. I have to admit enjoying playing around with it myself as much as he has. Building and racing Modarri toy cars around on these street-styled foam tracks is a nice bonding activity for fathers and sons to do together. To share in our fun, A Geek Daddy has been provided a second Modarri track set to giveaway. One lucky winner will receive a Modarri DELUX STREET TRACK BUNDLE similar to the one pictured in this toy review courtesy of Thoughfull Toys. For a chance to win, complete the entries in the form below before 11:59 pm ET on November 25, 2018. One randomly selected winner will be drawn from all eligible entries. Must be a United States resident over 18 years old to participate. 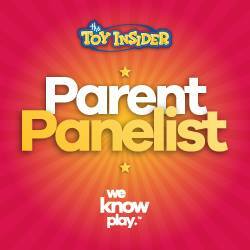 Thoughtfull Toys will be responsible for mailing the prize to the selected winner. Good luck! A Geek Daddy received the featured product for free to review and is hosting this giveaway as a benefit to ageekdaddy.com readers and social media followers. I have received no other financial compensation. Opinions expressed in this post are my own.